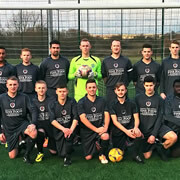 Not only is it a great excuse for some of our old boys, whose sporting days are over, to get involved with the club, but as a local, family-owned and run business, it is really important to all of the team here at Hopkins to support our local community. 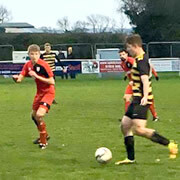 The Fine Food Company in Wincanton, whose Managing Director is an avid football fan, is pleased to announce that they are once again sponsoring the Wincanton Town Football Club away kit. 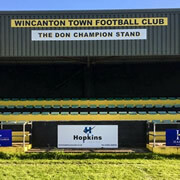 Wincanton Town FC is inviting you to come and celebrate the grand switch on of their floodlights in a game against local championship team Yeovil Town at Wincanton Sports Ground, on Tuesday 15th October 2013. 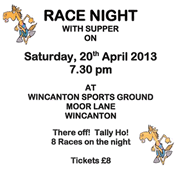 Wincanton Town Football Club's recent Halloween Casino Night set out to raise money for their flood light appeal. The evening was a real success and the club has raised approximately £500. Wincanton Town Football club are hosting a Halloween Casino Night on Saturday 27th October 2012 at Wincanton Sports Ground. Money raised will help to buy floodlights and make site improvements, having narrowly missed out on the opportunity last year. 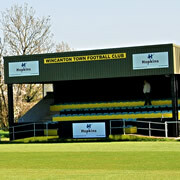 Wincanton Town Football Club hosts their annual 6 a-side men's tournament on Sunday 1st July. Ten players are required per team, with a £20.00 entry fee. Will Frogs Roast Beef be back to defend their title? 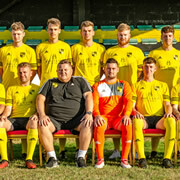 Wincanton Town FC has had an amazing year, finishing 4th in the Dorset Magma League, and losing only two games all season. Such a fantastic year has qualified the club for the opportunity of promotion to the Toolstation Western League. Do you fancy an evening at Poole Dogs (dog racing) on Sunday 17th June? £6.00 per ticket if your make your own way to Poole, otherwise Wincanton Town Football Club is providing transport, leaving from Wincanton at approx. 3.30pm for approx. £10.00 per ticket.